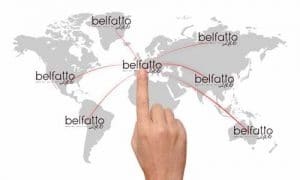 Would you like to see a treatment performed by Toni Belfatto live? This is your chance. This DVD will allow you to understand the “magic” behind the hyperealistic technique and to comprehend the subtle difference between the male and female’s morphology, understanding such difference is of paramount importance when carrying out this treatment. The DVD is presented as a clear step-by-step illustrated guide. The treatment is exemplified to show every facets of it by using imagines and by delving into every detail of the treatment, such as the specific kind of needle required for any effect, the best pigments to be used and the technique behind the different hand movements. Thanks to this DVD even the beginners will be able to carry out a treatment, if they are willing to invest time and to learn by watching the way Toni Belfatto operates.